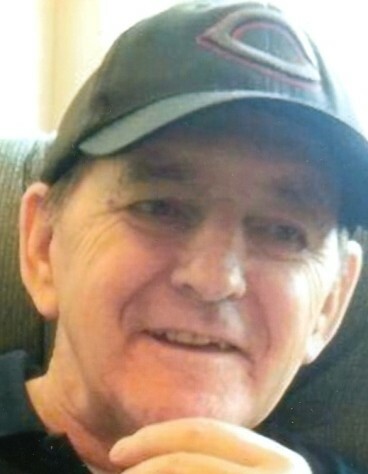 Elmer Ousley, Jr., known to all as JR of Pierceton, Indiana passed away at 6:30 a.m. on Sunday, November 25, 2018 at Peabody Retirement Community in North Manchester, Indiana at the age of 71. He was surrounded by his loving family when he slipped peacefully into the arms of Jesus. He was born on May 12, 1947 in Floyd County, Kentucky to Rebecca (Compton) Ousley and Elmer Ousley. On May 20, 1966 he was married to Linda Joyce (Wilson) Ousley, who survives. JR attended Sidney, Indiana schools for 11 years, and graduated from Warsaw High School in 1965. He was a self-employed orthopedic polisher and buffer. He was an avid sports fan, especially Kentucky Basketball, and he enjoyed hunting and fishing. He loved coaching T-Ball, little league, girls softball, as well as coaching the travel team for the Pierceton Youth League. Later he coached an NSA men’s softball team and was inducted into the 2011 National Softball Association Coaches Hall of Fame. JR considered it such a pleasure, joy and an honor to play his guitar and sing about his Lord and Savior. He along with his wife Linda, were long time members of Amazing Grace Community Church in Sidney, Indiana where he loved to serve as the song leader. Family members will lovingly remember his sense of humor and that beautiful smile that would light up a room…he will be dearly missed by all. JR will be forever loved by his wife of 52 years, Linda Joyce Ousley (Pierceton, Indiana); daughter: Sheila (Scott) Freds (Warsaw, Indiana); two sons: Barry (Stacey) Ousley (Winona Lake, Indiana); Rick (Heather) Ousley (Warsaw, Indiana); and six grandchildren: Derek (Samantha) Freds, Kelci Freds, Brady (Rylie) Ousley, Ashley Ousley and special friend, Axel Doran, Anna and Dalton Ousley. He was preceded in death by his parents, and his sister, Wanda Ousley. Visitation will be held on Tuesday, November 27, 2018 from 3:00 – 7:00 p.m. at Redpath-Fruth Funeral Home, 225 Argonne Road, Warsaw, Indiana. His funeral service will be conducted at 11:00 a.m. on Wednesday, November 28, 2018 at Redpath-Fruth Funeral Home and officiated by Pastor Ballard Wood and Pastor Terry Bradford. Burial will follow with a graveside service at Hillcrest Cemetery, Pierceton, Indiana. Memorial donations may be directed to Amazing Grace Community Church, 202 W. Arthur Street, Sidney, Indiana 46562 and would be appreciated by the family.